On April 21st, a motivated group of FDNF sailors met at the world renowned Submarine Sanctuary to collaborate and make positive change in the Navy. Due to time constraints, we were limited to 3 inspired pitches, so keep your calendars open in August for ATHENA 4.0, as it stands to be a blowout event! Our emcee gave a quick history of ATHENA and reviewed the pitch rules before pulling the first presenter’s name from the Innovation Lantern. This Lantern has presided over ATHENA events back to San Diego’s Waterfront ATHENA 2.0! The afternoon was electrified with innovative ideas and the desire to make the Navy better! So, without further ado, here is the roundup of the concepts presented. The Navy is in a fight for talent – young sailors joint the Navy expecting the latest and greatest in technology as they are all Digital Natives. They exist in the digital world, and unfortunately the Navy is behind the times when it comes to mobile computing onboard ships – for both work and quality of life. LT Highly immediately capturing our attention by setting up a small metal box next to a Wi-Fi speaker. The room filled with the sounds of music as he demonstrated how a cell phone can connect via Wi-Fi. He then put the speaker in the metal box to demonstrate the OPSEC concerns associated with shipboard Wi-Fi. Our curiosity piqued, he explained the answer to this problem is “Li-Fi”. By transmitting over light, everyone in the box can hear can hear, but not outside the box. Li-Fi is a bidirectional, high-speed and fully networked wireless communication technology similar to Wi-Fi that debuted at the 2011 Consumer Electronic Show. Li-Fi would enable sailors to access complete libraries of technical manuals and drawings from anywhere on the ship, both SIPR and NIPR Li-Fi systems could be securely set-up in the shipboard environment. This innovative application of a technology that is readily accessible is why Jason won the Admiral Sims Award for Intellectual Courage. Navy LT Greg Hahn, an ATHENA Far East veteran, started the event off by invigorating the crowd with his concept to save the Navy money while improving Sailor Quality of Life. His concept is simple, yet has numerous advantages. Greg deftly explained how Light Emitting Diodes work, the amount of energy it takes to operate an LED, and the relative cost of installing and maintaining LED lighting. Retrofitting a standard Navy rack light with an LED strip, 3 way switch controller, and USB charger would have an initial cost upfront, but the time saved in bulb replacement and the associated shipboard storage and HAZMAT disposal costs would quickly be recovered. Greg took his pitch to the next level as he described how our current fluorescent lights flick on and off at a 60 Hz cycle, which actually fatigues the human eye. LED lights on the other hand do not “flicker” and therefore are easier on the human eye. Another advantage of LEDs as a light source is the pump wavelength is such that it does not contain UVA, UVB or UVC wavelengths that are harmful. Lastly, the LED rack lamp upgrade would contribute to the Navy’s work towards Circadian Rhythm watchstanding as it would provide the ability to employ red lights during sleeping hours. Petty Officer Brimhall stirred the crowed by asking the question – How many times have you heard your command say money for getting Sailors to school is waning every year? As all of the heads in the room emphatically nodded up and down, he went on to ask if anyone was familiar with the Principle of Dynamic Discovery and how it can apply to Education. Silence ensued. He described that Dynamic Discovery, or Dynamic Learning is focused on relevant topics and it is active and agile to keep up with the speed of information. The ability to save money on expensive schools, with historically low pass rates, while training more sailors than the school has throughput is a Win-Win! The crowd, unable to contain their curiosity cried out “HOW?” Peer to Peer Education takes the team mentality to information sharing, by training a handful of smart, motivated sailors and having them train the fleet through face-to-face interactions and online forums. While the Far East team spins up Athena FE 4.0, they’re going ahead and hosting the first ever Athena onboard a deployed Air Craft Carrier on June 14th! Plans for ATHENA Far East 4.0 coming soon… so stay tuned! Athena Far East 3.0 Is Coming! Athena Far East 3.0 is this Friday! Athena is coming back to Japan! This Friday, April 21st, Sailors from all around Seventh Fleet are bringing their ideas to the Submarine Sanctuary from 1400-1600. Have you heard about the Athena Project and wonder what it is all about? Do you have a BIG idea to make your command or the Navy better? This event is the third Yokosuka Chapter event for The Athena Project, and whether you have an idea and need a stage or have passion and want to connect with like-minded innovators trying to make change, Athena Far East 3.0 is the place for you! 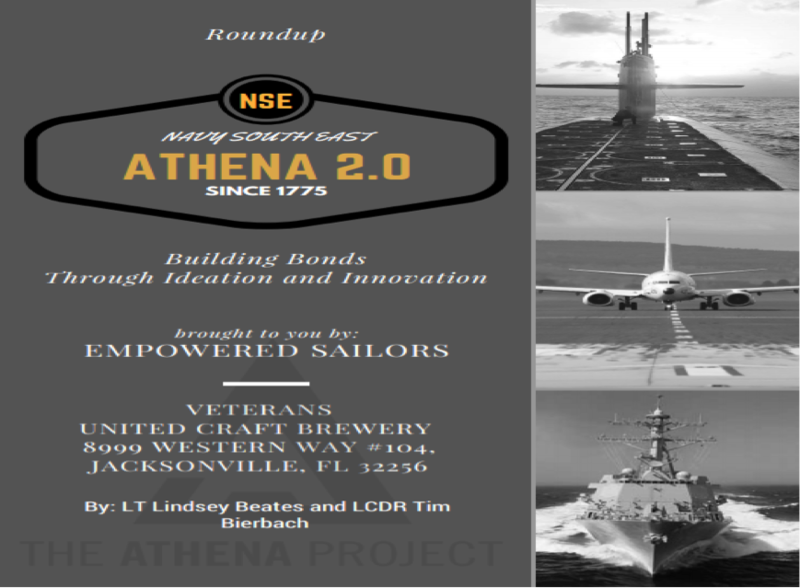 The Athena Project was created onboard USS BENFOLD in 2012 and now has 12 Active Chapters from Yokosuka to Mayport, and many concepts from our events have gone on to prototyping and development. The goal of Athena is to make the Navy better by developing solutions to problems that Sailors see in the Fleet – anything from developing new systems or retooling old systems, to new training plans, to fixing “broken” programs. By harnessing deckplate innovations and creating a cadre of forward-thinking, creatively confident Sailors, we are paving the way for the Fleet of tomorrow. Named after the Greek Goddess of Wisdom, Athena was a shrewd companion to heroes on epic endeavors. Which is why The Athena Project network works hard to help you push your great ideas forward. Because sometimes, that can be quite the epic endeavor. We WANT you to join us – even if you just want to listen! We WANT YOU TO PRESENT AN IDEA! You can present as a team or by yourself. The presentation materials and aids are also yours to decide – the only rule is NO PowerPoint. 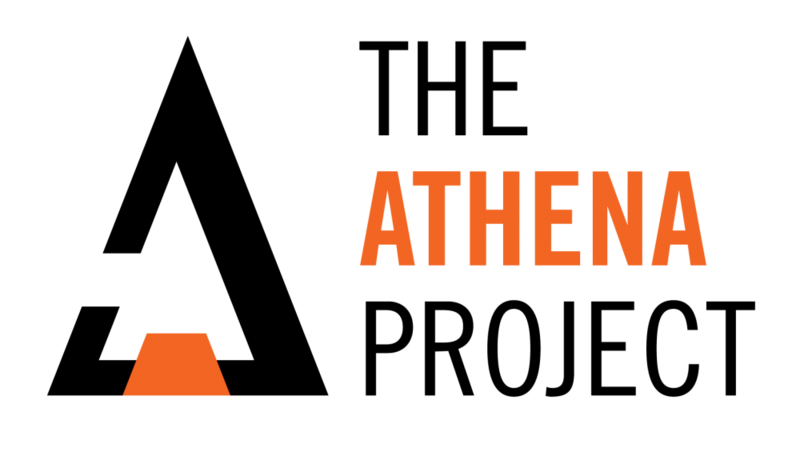 If you have an idea you want to present at ATHENA Far East, shoot us an e-mail athenanavy@gmail.com. ATHENA belongs to YOU – COME MAKE A DIFFERENCE! Athena DC 2.0 Is Coming! Are you going to Sea Air Space 2017 and looking for a way to connect with deckplate innovators across the Navy and Marine Corps? Are you in the DC area and want to check out what an Athena Project event is all about? Do you have a big idea that you want to pitch to connect with hard-charging folks who can make it happen? If the answer to any of those questions is yes, then have we got a deal for you! The Athena Project is hosting it’s second DC Chapter event during the Sea Air Space Expo at the Irish Whisper on Monday, April 3rd at 7PM! Since early 2013, Athena pitch events have been a great way to connect to the Defense Innovation Network and hear (or pitch) some groundbreaking ideas to make things better! These events have come to be described as Shark Tank meets TED Talks and give grassroots innovators a voice by giving them the stage for five minutes to pitch their big ideas. After five minutes of Q&A from the audience and our esteemed panel, the crowd will vote on ideas based on Idea Quality, Actionability, and Presentation to crown the Admiral Sims Award for Intellectual Courage to the top concept. Presenters and Panelists from last year’s Athena DC 1.0 at Sea Air Space. Last year’s winner was a game-changing sonar transducer cover, designed by our Sims Winner and 3D printable, that’s saving money and maintenance hours today. We’ll even get an update on its progress at the event! The Athena Project has 12 Active Chapters from Yokosuka to Mayport, and many concepts from our events have gone on to prototyping and development. As an example, check out this concept that emerged from the Athena West Chapter that went on to win last year’s Innovation Jam on its way to improve surface ships’ gunnery! There’s still time to slide into a presentation slot for Monday’s event if you’ve got a big idea that you want to see happen! Just send us a note at athenanavy@gmail.com if you want to present! If you just want to come hear the pitches and network with like-minded catalysts, that’s cool too! Just swing by the Irish Whisper and join us! Registration always helps (you can do that here) or just come as you are and be part of the movement. Being a mobile gaming app addict, I came across one particular addictive game a couple months ago. “2048”, published by Ketchapp in app stores in 2014, is ridiculously easy to grasp while still providing a difficult challenge. The rules are simple… move the blocks horizontally or vertically to combine adjacent, like numbers until you reach 2048. For example, a block with the number “2” can only be combined with another block with the number “2” that is beside, above, or below it. When you combine two “2” blocks… you make a “4” block. Then you can push two “4” blocks together to make an “8” block, and then two “8” blocks together to make a “16” block… and so on and so forth… until you finally have created an opportunity to push two “1024” blocks together for the win. It’s not as easy as you think. So take a second a download it. It’s free. The rest of the article might make a little more sense after you’ve played the game. If you become addicted, it’s not my fault. After playing an embarrassing number of hours on this game (mostly never at work), it occurred to me that this game illustrates a fantastic strategy when it comes to scale and collaboration with respect to the multitude of emergent innovation efforts happening throughout the Navy and Marine Corps. Over the last year I’ve been keeping a list of all the different innovation related ideas, projects, efforts, cells, and groups (of various maturity, sizes, scope, focus, audience, legitimacy, credibility, support, and funding) that have sprouted up throughout the Department of the Navy (and beyond). We have Secretary of the Navy’s Strategy and Innovation Department, Task Force Innovation (TFI), Naval Innovation Advisory Council (NIAC), The Hatch, CNO’s Rapid Innovation Cell (CRIC), The Athena Project, Defense Entrepreneurs Forum (DEF), DEFx, Tactical Advancement for Next Generation (TANG), Junior Enlisted Innovation Think Tank (JITT), Naval Innovation Network (NIN), MD5, MilSuite, Defense Innovation Unit Experimental (DIUx), High Velocity Learning (HVL), TOOLKit, Cognitive Warrior Continuum, Illuminate, MMOWGLI, Junior Officer Symposium, Hacking 4 Defense, Hack the Sky, Hack the Machine, Innovation Certificate at NPS, USMC Wearable Challenge, PEO-EIS Innovation Cell, FabLabs, RoboDojo, Future Strategy Forum, Naval STEM, RDT&E Strategic Cell, and so much more. In addition, there are a wide array of official and unofficial places that are publishing various innovation efforts which include (but certainly not limited to); SECNAV’s Strategy & Innovation, Athena Project, DEF, Atlantic Council, Naval Institute (website and Proceedings), Naval Science and Technology Future Force Magazine, War on the Rocks, Connecting the Dots, Military Writers Guild, CIMSEC, The Navalist, Defense One, and good ole Navy Times… just to name a few. So what does this all of this have to do with “2048”? Over the last 14 months of watching super smart Sailors and DoN Civilians roll up their sleeves to implement their great idea, there is almost always that moment of defeat. The innovator stands at the edge of the cliff, overlooking a massive chasm, and wondering how on Earth they will ever be able to cross it and scale their idea into their biggest vision. “2048” could offer a solution to the ever growing multitude of emergent innovation efforts… we need to start combining. What if groups that harvested Sailor’s ideas (2) were combined with research and development units (2) in an effort to build a true partnership (2+2) where Sailors ideas were systematically researched and funded each and every quarter (4)? Then what if one of the new innovation culture-based workshops (2) mated with an organizational metrics and collection team (2), thereby solidifying (2+2) as a quantifiable and adaptable learning program (4)? And then what if this new adaptable learning program (4), which exposed more Sailors to creative, cognitive, systems thinking mechanisms combined systematically researched Sailor’s ideas (4) to reinforce (4 +4) an inclusive systems approach to learning through real impact (8). There are a million other variables that we can continue to merge together. The point is that when we combine our efforts, we become stronger. Dollars to ideas to education to collaboration opportunities to networks to organizational culture… what if we ask ourselves, how can I collaborate in such a way that both parties end up twice as strong in the end? And lest we forget the power of the media! By the time we are breaking barriers, we must share what we are doing so that others may gain insight and inspiration! A fusion of entertaining media (1024) and amazing advances brought about by radical collaboration (1024), only leads us to the ever coveted 2048. Reflecting back on my time as a NIAC Fellow in FY16, one of the most valuable lessons I learned is that power and accomplishment comes from sustainable partnerships. No one can get their idea off the ground alone. It literally takes a village, or in our case, a Fleet. The only way we can scale and grow and instill the systemic culture changing behaviors (agility and adaptability being at the top of that list) in order to take ideas into meaningful realities is to combine efforts… and then perhaps 4096 will then be the new magic number. Kristen Wheeler is the Executive Officer of the Navy Operational Support Center, San Jose. Before she was a NIAC Fellow, she founded The Athena Project’s Southeast chapter. The Athena Project NW will be holding their semi-annual pitch competition event at the LCPO Mess on base at Naval Base Kitsap on the 20th of January open to all (all active duty, DOD employees and retirees alike). The Athena Project is an all-volunteer, grassroots organization seeking to foster and promote innovation within the Navy and DoD for the benefit of our sailors, dependents and nation as a whole. No idea is too big or small! The event will be comprised of a guest speakers and focus on a pitch competition (in the format similar to ‘Shark Tank’ meets ‘TED Talk’ venue) where the ideas will be voiced and a winner will be selected base on feasibility, quality, novelty and actionability. Come join us for a fun, energizing and exciting event where your ideas can be heard! The pitch competition is open to the entire region. If you have an innovative idea you would like to present, please contact LT Daniel Conley at navyathenanw@gmail.com to submit your idea. Please submit pitches by the 13th of January to ensure inclusion. Free drinks will be provided for pitch presenters! Admission is free and open to anyone and everyone! The Athena Project returned to the Southeast region with quite a lot of energy! NAS Jacksonville, NS Mayport, and NS King’s Bay all rallied to support local grassroots innovation within the Navy and their communities at large. Athena Southeast 2.0 quickly hit targeted presentations of five, within two days after placing a call out for innovative projects. In all, five presenters and four other projects were accepted for this event. 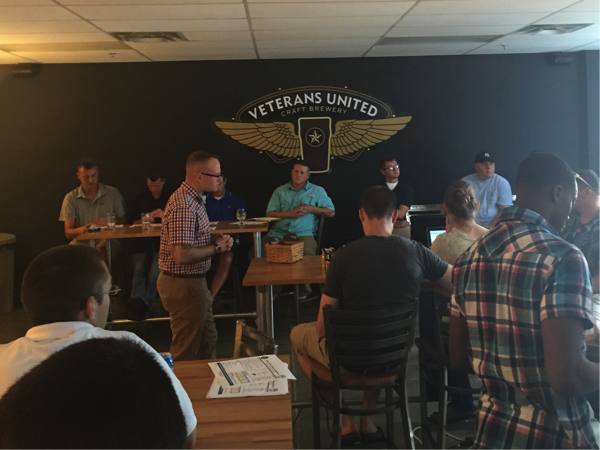 The event was held on August 5, at Veterans United Brewery, a veteran-owned company in the Southside of Jacksonville. Presenters captivated the crowd with their creative concepts and ideas, making their pitches to fellow Sailors, industry, and academia, as well as a panel of leaders in the Southeast region. The panelists were CAPT Anthony Corapi, Commodore of Patrol & Reconnaissance Wing 11, CDR James Harney, CO of Afloat Training Group Mayport, LCDR Mike Zdunkeiwiz, Training Officer for the Maritime Patrol and Reconnaissance Weapons School (MPRWS) and Chief Collins, LCPO at the MPRWS Mobile Tactical Operations Center. Each of the projects challenged existing paradigms in a progressive fashion, and the panelists did an exceptional job directing their questions toward challenging the weak portions of the projects while bolstering their strengths. 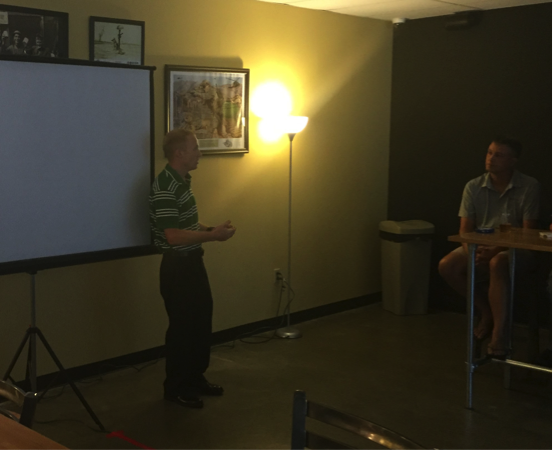 Every question provided insight from experience and helped the presenters continue to mature their pitch and project. The Media Management Database is designed to increase efficiency and quality control of the media sets required for the P-8A aircraft and media issues are currently plaguing the community, causing late departures, excessive preflight, and canceled events. The relationship between the squadrons and the Mobile Tactical Operations Centers (MTOCs) continued to be stressed while senior leadership develops a viable solution. Furthermore, combat aircrews began flying with limited standard media loads that reduce the US Navy’s overall combat capability. PO2 Kuhns worked with VP-16 to develop a database centered on supply management and lean six sigma principals, and programed using Microsoft Access. The concept simply tracks the each piece of media, associated burning step, and location from start to storage in a near real time application. Everyone with the rights to the database now had the ability to track the applicable stages and location of the media. This database was employed by MTOC One and VP16 as a pilot project during their inter-deployment readiness cycle and last deployment. The success was recognized immediately and media related issues were reduced, enabling MTOC One to create a more agile and adaptive process meeting the needs of the fleet. The database has the potential to be developed concurrently with SPAWAR and implemented throughout Wing 11 to increase the quality control of Media and effectiveness of the fleet. PO2 Kuhns, is stationed at Mobile Tactical Operations Center (MTOC) One at NAS Jacksonville. Test Item Analysis is program that has taken one of the Navy’s most vital challenges – its ability to conduct self-assessments. Training, one of the Navy’s core missions, is continuously improving the measures of performance (MOP) and measures of effectiveness (MOE) that build our warfighters. The current problem for the majority of the Navy is that we are still developing and testing based on a perceptual concept and not a systematic process. Test Item Analysis empowers the average sailor and improves our for Navy Instructional system design environments. PO1 Foster’s program uses a visual basic to generate pre-populated templates to reduce the manual effort and increase the ease of use. The Trident Training Center uses a beta version of the program and continues to undergo a continuous improvement cycle to deliver the training desire. Using a static version during several formal courses yielded extensive improvement on time required for testing the desired outcomes and reduced to time required to achieve the desired action. This program is not just for short-term analytics but it can develop long-term history base on outcomes and desired end states. The test item analysis is looking to begin collaboration with other unit to expand its base and sample size. Several Commands at Athena expressed interest in building pilot programs to assess the potential outcomes. PO1 Foster designed the program to be maintained at a local level and is excited to collaborate with the Fleet in the near future. PO1 Foster is stationed at the Trident Training Facility NSB Kings Bay. iLOC is a project that focuses on increasing the accuracy and timeliness of tactic, techniques and procedures (TTP) during the anti-submarine warfare (ASW). For decades, TTPs have accepted numerous errors based on the human limitation and the variables calculated. With the introduction of the P-8A and its combat system, we now have the ability to conduct rapid calculation based on amplified information to increase our warfighting effectiveness. The Project looks to conduct incremental changes. The First stage would be achieved by developing a basic excel style application that would codify the current math and science portions of our TTPs. This spread sheet would utilize the computer as a calculator for the basic equations and while enabling the crew to alter the variables to keep pace with current tactical situation. The 2nd Stage would be to imbed this capability into the P-8A combat systems, similar to Boeing’s Flight management computer. Currently the spreadsheet continues to be developed and reviewed by multiple Maritime Weapons and Tactics Instructors. The application has also been forwarded to the Center for Naval Analysis to begin validation. This project is a progression for Cold War system that was designed to be implemented into the P-7 program before it was canceled. LT Kennedy is stationed at VP-30 in NAS Jacksonville. High Velocity Learning (HVL) within Maritime Patrol and Reconnaissance Force (MPRF) looked at how to begin implementation of the CNO’s vision of HVL at every level. The project defined and dismantled the Toyota Production System (TPS) to build an initial framework to deviate. It also drew a correlation between the history of the scientific method and the application in today’s innovative culture. This Framework is vital to cultivating an agile and adaptive process throughout the MPRF at large. Doug’s project illustrated the progression from the Aviation Tactics and Techniques Innovation Cell (ATTIC) he helped stand up at VP-16. During his tour, he designed, developed, implemented and wrote on several innovative projects that applied HVL successfully. One of his examples was a project to reduce the P-8 preflight for ASW events from 3 hours to 1.5 hours. The command targeted several key performance indicators that related to delays, analyzed the information, and put controls in place. The Project was able swarm the problem and use ideology from TPS to develop the solutions. Within one day and the 6 flights dedicated to this portion of the project they were able to achieve their goal of reducing preflight time by 50 percent and saving in excess of 135 man-hours across the 6 project events. This data was then captured and published to complete the HVL process. Doug continues mature his framework for HVL within MPRF. Many of his projects that he worked on during his tour at V16’s ATTIC have now been published as tactics, techniques, and procedures that have been adopted throughout the fleet. LT Kettler is stationed at the Maritime Patrol and Reconnaissance Weapons School (MPRWS) in NAS Jacksonville. EMW 4 ASW (Electronic Maneuver Warfare for Anti-Submarine Warfare) was a CNO Rapid Innovation Cell (CRIC) accepted project before the group was defunded. This project targets a latent vulnerability from the Cold War ASW strategy. Sonobuoys use legacy technology that operates on one of 99 channels with in a small frequency range. This constraint also limits the data rate and amount of data transferred. Sonobuoys still possess enormous potential and the fix is not difficult. Incorporating photonic into the current sonobuoys increases their combat potential in the 21st Century sensor. LT Mitchell project looks to open the aperture by building an agile system and incorporating photonic into current sonobuoys. For minimal cost, photonic will expand sonobuoys frequency spectrum exponentially and enable them to become frequency agile. Spectrum management would now be constrained via software updated and not hardware changes. Many secondary benefits would materialize from this upgrade. Data rates, bandwidth, and encryption are just a few of the potential areas for improvement. LT Mitchell, the MPRWS, and Georgia Tech Research Institute (GTRI) have been collaborating on this project for over two years to turn EMW 4 ASW into a reality, which would be a game changer for ASW. The project continues to look for a champion and funding to build an initial prototype. PMA-264, ASW projects, has now taken an interest in the idea but due to funding cuts the project is still in idle. GTRI estimated that the project would take less than nine months for an initial test of the concept and could support the development in the near future. LT Mitchel is stationed at the Maritime Patrol and Reconnaissance Weapons School in NAS Jacksonville. Overall, it was a very successful evening. All of the presenters gave practical, innovative solutions to current issues facing our Navy – either at the work center, squadron, or fleet level – and the audience members learned a lot. We are looking forward to Athena South East 3.0, to be held sometime this winter! Wednesday’s Innovation Jam onboard USS ESSEX (LHD 2) was an important and monumental moment for Naval Innovation. The event was sponsored by a number of organizations, including Commander Pacific Fleet, SPAWAR Systems Center Pacific (SSC Pacific), the Office of Naval Research (ONR), and the Office of the Chief of Naval Operations. The support of such senior leadership for Deckplate Innovation made the event a resounding success, demonstrated in spades through awarding not one but two Sailors $100,000 to fund their concepts through prototyping and transition. That’s the important part. Ideas born out of frustration, perseverance, and a quest to make the Navy better have been funded. However, the significance of the Innovation Jam is beyond the funding. During the Innovation Jam, the assembled crowd of Sailors and government civilians listened to senior uniformed leadership within the Navy, like the Commander of the Pacific Fleet, Admiral Scott Swift; The Deputy Chief of Naval Operations for Readiness and Logistics, Vice Admiral Phil Cullom and the Master Chief Petty Officer of the Navy Mike Stevens. The three military speakers kicked off the event with a volley of support for The Athena Project, Tactical Advancements for the Next Generation (TANG), The Hatch, The Bridge, and other efforts to bring about positive change. Each message resonated with the entrepreneurial and intraprenurial philosophies. Innovation is about taking risks. The sponsorship, collaborative support and allocation of resources serves as a beacon of thoughtful risk taking by senior leadership in the Navy. And, funding two Sailor concepts serves as inspiration to empower all Sailors at all levels to share their own ideas and as a clear signal from the Navy’s top brass that they’re not only listening but that they’re also ready to act. Over two days in San Diego, six Sailors who presented ideas through innovation initiatives such as The Athena Project, TANG, and The Hatch, were given the opportunity to interface with scientists and engineers at SSC Pacific and ONR to reframe and refine their concepts at an athenaTHINK event before presenting their ideas at the Innovation Jam to a panel of experts, who would decide a winner. On the panel Dr. Myhrvold and Dr. Sullivan were joined by Dr. Stephen Russell of SSC Pacific, Mr. Scott DiLisio of OPNAV N4, Dr. Robert Smith of ONR, Mr. Arman Hovakemian of Naval Surface Warfare Center (NSWC) Corona Division, ETCM Gary Burghart of SSC Pacific and the Commanding Officer of the host ship, USS ESSEX, CAPT Brian Quin. 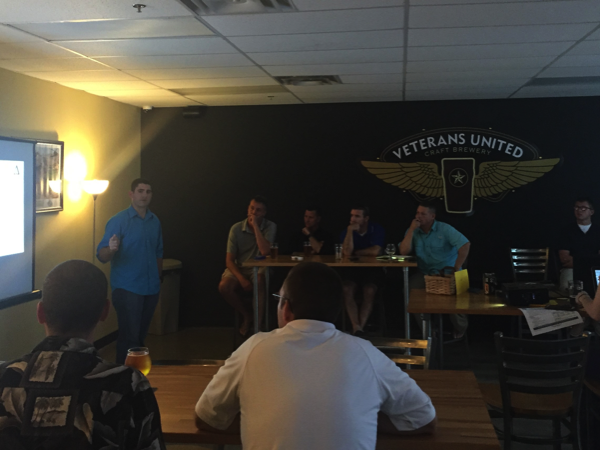 LTJG McClenning presented his concept which he originally pitched at Athena West 3.0 called the Unified Gunnery System (UGS). The system would provide ballistic helmets equipped with augmented reality visors to the Sailors manning machine guns topside on a warship, and command and control via tablet in the pilot house. Commands given on the touch screen would provide indications to the gunners displaying orders, bearing lines and more. The system would be wired to prevent cyber attacks. The augmented reality capability of the system would mitigate potential catastrophic results of misheard orders due to the loud fire of the guns, and improve accuracy and situational awareness. LTJG McClenning received $500 for his concept, and $100K to develop the idea in collaboration with SSC Pacific. 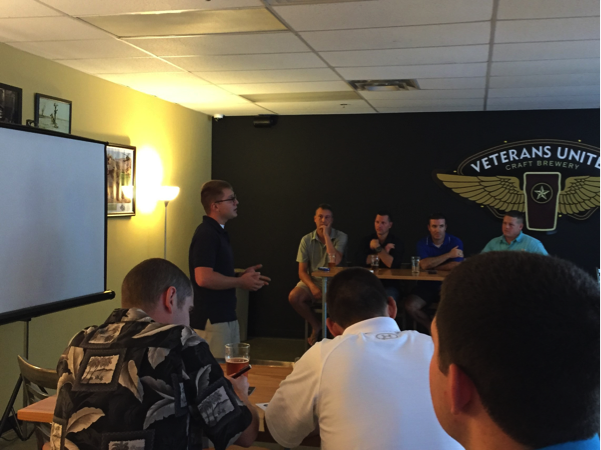 LT Hughes flew in from Washington, DC to pitch his concept, also from Athena West 3.0. The idea, CosmoGator, aims to automate celestial navigation through installed, gyro-stabilized camera mounts and small-scale atomic clocks to provide redundant Position, Navigation and Timing data to shipboard navigation and weapons systems. LT Hughes’ concept would continually update inertial navigation systems to enable continued operations in the event of GPS denial. Previously, this concept had been explored by the CNO’s Rapid Innovation Cell. LT Hughes received $300 and in a surprise move, OPNAV N4 funded his idea with $100K as well. GMC Zimmerman’s concept, originally presented at Athena West 4.0, intends to bring virtual reality to the Combat Information Center. Through the use of commercially available headsets, GMC Zimmerman proposed streaming a live optical feed of a ship’s operating environment to watchstanders to increase situational awareness and provide increased capability in responding to casualties such as Search and Rescue. GMZ Zimmerman received $200 for his idea. LCDR Hsu pitched an idea from Theater Anti-Submarine Warfare (TASW) TANG for a consolidated information database for the litany of data required to effectively manage the TASW mission. The concept, Automated Response for Theater Information or ARTI, would leverage voice recognition software like the kind found in the Amazon Echo or Apple’s Siri, to enable watchstanders and commanders alike rapid access to critical information. LT Greunke presented a concept that he began developing during his time at the Naval Postgraduate School (NPS) and pitched at Athena West 9.0. His concept leverages virtual reality to more effectively train Landing Signals Officers (LSO) by recreating the simulator experience of an entire building in a laptop and Oculus headset. LT Greunke demonstrated his prototype for the panelists and described a vision for the LSO VR Trainer, called ‘SEA FOG,’ as the first piece of an architecture of virtual reality tools to improve training in a number of communities and services. OSC Rick first presented his idea for a combined site to host all required computer based training on The Hatch, though he acknowledged that the concept had been a highly visible entry on The Hatch, as well as in previous crowd-sourcing initiatives such as Reducing Administrative Distractions (RAD), BrightWork and MilSuite. His concept is to make universal access tags for civilians, reserve and active duty personnel to enable easy tracking of completed training as well as required training. In his proposal, the host site would combine the requirements of the numerous sites currently hosting training requirements and deliver an App Store-like interface to simplify the experience for users. All of our presenters and panelists. America. Not enough can be said for the courage that all of the presenters demonstrated to take the stage in an nerve-wracking setting and present their ideas. In another good news story, the panelists and the assembled crowd provided feedback to all the presenters, which will assist in the further development of all six concepts. With the success of the Innovation Jam in the rear view mirror, the process now begins to build on the ideas that received funding. We’ll continue to provide updates of the future successes of the two funded concepts right here on the blog. This milestone for Naval Innovation is nothing short of monumental. Many can relate to a near exhaustion with the rhetoric surrounding innovation: Agility, fast failure, big ideas, consolidating disparate efforts, getting technology to the warfighters, and certainly partnering partnerships with non-traditional players. When actions are weighed against rhetoric, it is action that wins, taking the initiative, assuming the initiative to act and moving the needle. And Wednesday, we saw that happen. This inaugural Innovation Jam will not be a one-time thing. As stated by VADM Cullom in his Keynote Address the event will be coming to every fleet concentration area in the future. Here at The Athena Project, we’ll continue to push initiatives like the Innovation Jam to inspire the creative confidence to present ideas and aid in any way possible to turn concepts into reality. And, for those wondering how they might get involved in an events like this, support your local Athena chapter, submit your ideas to The Hatch and participate in workshops like TANG! Participation in these, and any innovation initiative will make you eligible for your regional Innovation Jam! The future looks bright indeed not only for innovation but for action. And we’re damn proud to be a part of that. 2015 just came to an end, and Athena West 9.0 wrapped up the year with another great event. We saw another batch of great ideas from innovators poised to make impacts in the coming year and beyond. This time we changed things up by kicking the event off with a keynote talk from a Department of the Navy Innovation Hatch winning entry SPIDER 3D presented by Michael Russalesi. Another first for Athena West was the use of a “shark panel,” providing a unique diversity of perspectives for Athena. NAVFAC Southwest Commanding Officer CAPT John Adametz joined Prospective Commanding Officer CO of LCS 203 CDR Doug Meagher, and Principal Software Engineer at Fuse Integration Mr. Dell Kronewitter to question, comment, and spark discussion among the innovator-voters in the audience and the great line-up of presenters! Keynote speaker Michael Russalesi demonstrates his winning entry on The Hatch, SPIDERS 3D. In today’s world almost everyone has a smartphone, why not take advantage of that to ensure our sailors can get the best support? An idea embracing current technologies and the realities of modern living, IT1 Coleman set out to solve the problem of connecting prospective sailors with their future commands. From IT1 Coleman, “In my experience sponsorship programs within the Navy are inconsistent. Many individuals seem to have a sense of burden when trying to contact new Sailors and vice versa. My solution to that “problem” is the development of the In-Hand Sponsor Mobile Application.” IT1 Coleman has created an application for mobile technologies (ios, android, blackberry, etc.) for our DoD personnel to connect with their prospective command and give them a concise source for the information they need, what the command mission is, who the chain of command consist of, what department to report to, who they should contact, and any other other useful information needed to guide the New Check-in to their new command on time. IT1 Coleman displaying his winning idea. Having checked into a few commands myself, I can’t wait to see this one go live. FCC McKinley Fitzpatrick talking about how to help ensure the fleet is always ready. Looking at the challenges presented to sailors during a 24 hour duty day, FCC Fitzpatrick saw an opportunity. Using an idea he not only saw tested but work effectively, he developed a shift work program to eliminate the 24 hour duty day. From FCC Fitzpatrick, “The idea is to incorporate (3) eight hour overlapping shifts onboard ships to eliminate the need for 24 hour duty by utilizing the proven concept of duty section manning to meet all workforce/training needs. There are two concepts; Legacy concept (CVN, LHA/LHD, LPD/LSD, CG, DDG) & LCS concept (Minimal Manning).” His idea maximizes crew readiness by limiting the length of the the work day to ensure a rested and aware crew while at the same time keeping the working 24 hours a day. He acknowledged the difference between hull types and the challenges of implementing the system but he believes if this is fully embraced the Navy would see an improvement in readiness and quality of life. LT Sando fielding questions from the panel. While working to increase readiness in the OPSEC and Safety programs for the Littoral Combat Ship Squadron ONE, LT Sando stumbled on to the idea that tremendous efficiencies can be had with very simple changes to the implementation of those programs. By moving program managers designations to the staff, LT Sando saw a reduction of 74% of the administrative burden for the individual units under his cognizance. Talking about the fleet as whole LT Sando stated, “PACOM stands to benefit should it direct CNSP as a subordinate unit to ensure all Destroyer Squadron (DESRON) Staffs under their cognizance adopt a ‘vertically integrated’ program management construct in relation to their Afloat Safety and OPSEC programs.” This simple modification implemented at LCSRON ONE resulted in a swing from 0 of 6 to 8 of 8 crews earning the Yellow “E” for Battle Efficiency. LT Sando’s idea’s simplicity and proven results made it one of the top contenders for the ADM Simms award and idea with truly huge implications. LCDR Hartley making his plea for better use of engineering data. LCDR Hartley experience as chief engineer officer and as an ATG assessor has led him to believe their is a better way to use the data collected by smart ships to save time and money in ship repairs. He presented an idea for an automated logging system to bridge the gap between Smart ship engineering systems and the needs to evaluate the trends in operating parameters to save money and time in repairs. His vision is of a web based application that takes the base data, places it in a standard US Navy log format, is reviewable by the required watch standers and applicable Chain Of Command, and automatically performs some of the functions that a watch stander would need to take. The system would be accessible from both shore base and sea based units, have automated data sorting routines, and be able to run while not connected to its shore based server. Ship and civilian counterparts would be able to communicate real-time to analyze and review data, and digitally sign the individual logs. This system would incorporate the equipment operating logs, the ships bell logs, and the Engineering log. LT Greunke pitching his trainer concept. Landing Signal Officers (LSOs) are the backbone of tailhook naval aviation. Currently, once a junior officer is selected from a squadron to become an LSO, that person typically will go through an entire workup cycle before going to the Initial Formal Ground Training (IFGT) course. This means that an LSO will undergo months of on-the-job training at sea and assume different roles needed to recover aircraft before that individual receives his/her first formal training during IFGT. At the center of IFGT is the LSO Trainer, Device 2H111, in which the LSO receives a series of six one-hour long sessions. For many LSOs, this will be the only interaction will be this training simulator. The aim of his project was to develop and evaluate whether major training objectives for the 2H111 could be supported by other means. The result of LT Greunke’s study is a light-weight, portable VR trainer with a VR HMD as its display solution. Using off-the-shelf technology, LT Greunke created a proof of concept, that has the potential to not only replace Device 2H111, but provide LSO’s the ability to train anywhere at any time, providing a more distributed, cost-effective, and more capable trainer. It was great seeing many new faces and returnees to the event. 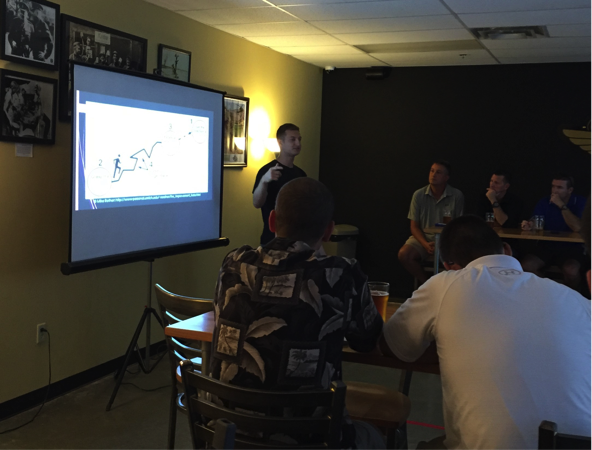 Thank you again to 32 North Brewing Company for hosting, to our Sharks, and to everyone that attended. It’s was awesome to see the diversity of backgrounds at the event and watch the networking at work. The driver of Athena is not just the ideas but getting those like minded individuals in the same room talking and Athena West 9.0 continued that tradition. We look forward to serving the Fleet to continue the US Military with it long running tradition of innovation! LCDR Mark Blaszczyk is the Combat Systems Training Lead in Commander Littoral Combats Ship Squadron One and the co-lead for The Athena Project’s San Diego chapter. He is a graduate of Purdue University with a BS in Civil Engineering and Duke University with a Masters in Business Administration.